The City has a variety of skate facilities to choose from! Keep your eye out for upcoming Skate/ BMX/ Scooter clinics, workshops and competitions! The City partners with the team at Skateboarding WA who run a series of free skate clinics at the local skate parks in the summer months. All ages and skill levels are welcome – skateboards and helmets provided. Spring/Summer skate dates below. Stay tuned for updates here and on the City's Facebook page. Visit www.skateboardingwa.com.au, email info@armadale.wa.gov.au or call 9394 5000 for more information. 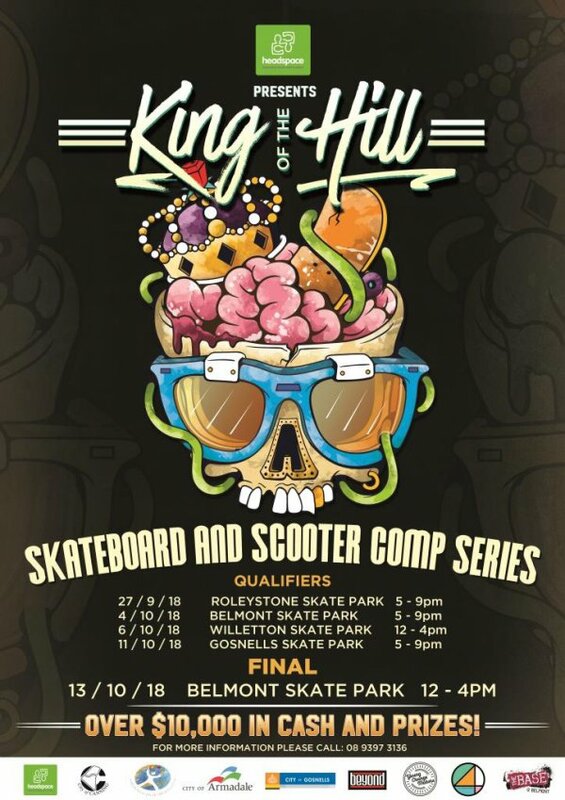 The King of the Hill Skate Park Series is a collaborative project between the City of Gosnells, City of Canning, City of Belmont, City of Armadale and headspace Armadale. It is a series of skate and scooter competitions to give young people a chance to demonstrate their skills and compete for over $10,000 in prizes and cash. Stay tuned here for more information about the 2019 King of the Hill. Click here to check out some images from the Summer King of the Hill series. For more information contact info@armadale.wa.gov.au. The City of Armadale’s Youth Activity Area (YAA) on Orchard Avenue has been a hive of activity and entertainment since its opening. The YAA has quickly become a feature of the Armadale CBD, with many young people travelling from all over the region to try out the modern street-real features of the park. 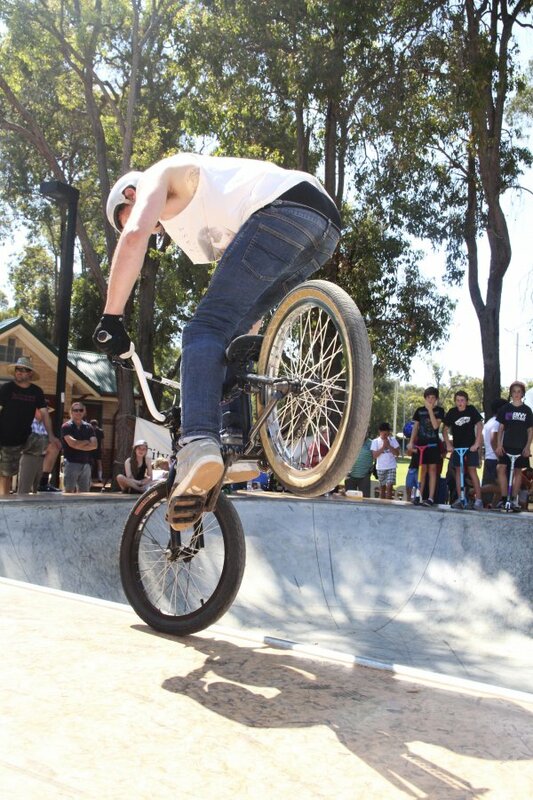 Armadale YAA and skate park is located at 7 Orchard Avenue, Armadale. The Roleystone Skate Park provides local young people with a space for social interaction and physical activity. In addition, this facility also caters for the wider community through the creation of a welcoming and accessible community space. Scooter, BMX and skateboarding continue to be popular activities and young people now have a fun and safe venue to showcase their talent. The facility was brought to life after extensive community consultation with local young people and Roleystone community members.Two design workshops with local youth and two community briefing sessions were held. 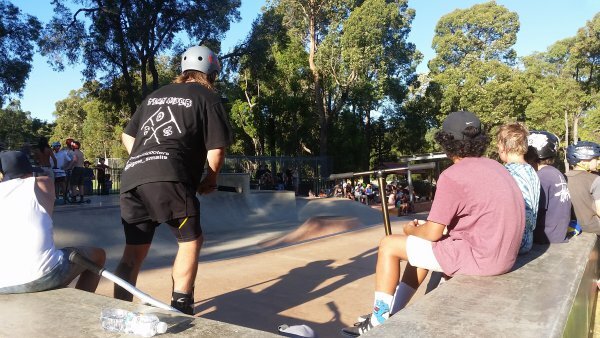 These forums were well attended and provided fundamental feedback for the development of the Cross Park Skate Park which was facilitated by Convic Design in partnership with the City of Armadale. The redevelopment works include a high quality riding facility featuring plazas, transitions, banks, hubbas, ledges and public seating. 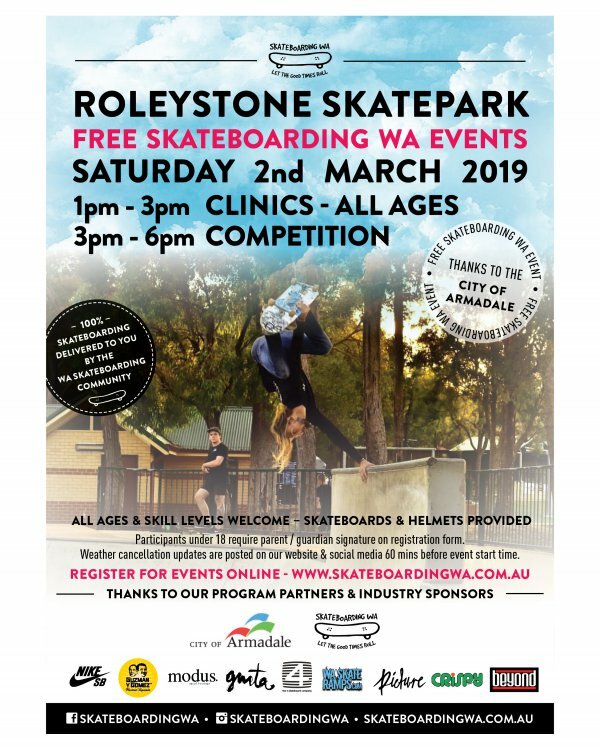 For more information on the Roleystone Cross Park Skate Park contact the City's Community Development Officer on 9394 5637. Cross Park Skate Park is located at Wygonda Road, Roleystone. The Forrestdale Skate Park was again designed based on feedback from local young people to develop concept plans for the space. For more information on the Forrestdale Skate Park contact the City's Community Development Officer on 9394 5637. Forrestdale Skate Park is located at the corner Weld Street and Armadale Road, Forrestdale.